Through stunning visuals, from engravings and etchings to lithographs and paintings to drawings and photographs, Vassar Professor of Religion Deborah Dash Moore and Florida International University Professor of History Howard B. Rock bring together diverse historical works — from political and economic analyses to ethnic and gender studies — to tell New York City’s story from the early 17th century through the end of the 20th century. In her acknowledgments, Professor Moore praises two Vassar Ford Scholars, David Lobenstine ’98 and Rachel Weinstein ’01, for their "hard work, enthusiasm, and dedication." 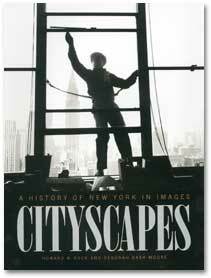 Lobenstine unearthed archival photographs of 20th-century New York and Weinstein prepared photographs for submission to Columbia University Press. "In the death of Elizabeth R. Coffin on June 21, the class of 1870 has lost not only one of its best loved members but also a woman who, like her class-mate Ellen Swallow Richards, made a distinguished contribution to American life." Not only did Elizabeth Coffin’s life touch so many of her fellow classmates, but her spirit and work affected and continue to affect those who learn about her. 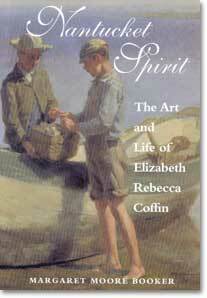 Margaret Moore Booker’s interest in Elizabeth Coffin began long before she became curator of the Egan Institute of Maritime Studies at The Coffin School. But it wasn’t until after extensive digging through Vassar Libraries’ Special Collections and many conversations with Vassar Historian Elizabeth Daniels ’41 that Booker’s interest in Coffin’s life and art came to fruition in Nantucket Spirit. Like her mentor and lifelong friend Maria Mitchell, Coffin was an independent spirit during an era when women were expected to marry and bear children. With Mitchell’s friendship and the support of Henry Van Ingen, Vassar professor of art, Coffin sought a career in a male-dominated environment. In 1872 she became the first American woman accepted at the prestigious Hague Art Academy in the Netherlands and the first person in the United States to earn a master’s degree in fine arts, from Vassar in 1876. Coffin’s artistic achievements made a distinct mark in the New York art world and put her at the forefront of American women artists of the time. Through her paintings, Nantucket’s people, landscapes, and once-rural lifestyle are forever captured. Although Coffin was celebrated and recognized during her lifetime, her work and life are relatively unknown today. (In fact, her most enduring contribution seems to have been her work as a patron of the arts, educator, and philanthropist.) Using extensive research, family letters, and color illustrations, Booker brings to life an artist whose story and work is richly deserving of wider recognition. In 1920, at Coffin’s 50th class reunion, a retrospective exhibition of more than 70 of her works were displayed in Taylor Hall. Today, there are 11 pieces of Coffin’s works in the Frances Lehman Loeb collection and many pieces hang in The Coffin School and the Nantucket Historical Association. Booker is scheduled to lecture on Elizabeth Coffin at reunion in June 2002. Contact Booker at 508.228.2505 for more information. Henry Albers has been intrigued by Maria Mitchell, Vassar’s first professor of astronomy, and the observatory-home built for her since he arrived at Vassar in 1958. Very early on, in a closet in the observatory, Albers discovered glass photographs of the sun dating back to the 1870s and made by Mitchell’s students. These whetted his appetite for other original material relating to the 19th- century American female scientist. He combed the Vassar archives and others in Nantucket (where she lived from birth in 1818 until coming to Vassar in 1865), the U.S., and Europe. A well-traveled scientist, Mitchell was a loving and beloved teacher and a staunch proponent of women in science and society. She educated herself in science primarily because of her interest in mathematics and was self-supporting from the age of 18 until her death in 1889. This was an extraordinary accomplishment for a 19th-century middle-class woman, as was her discovery in 1847 of the comet that now bears her name. 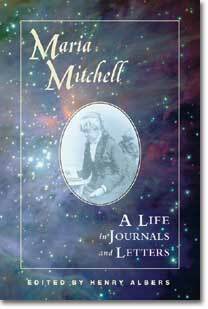 The book consists of extensive diary excerpts covering Maria Mitchell’s time in Nantucket, and then at Vassar, with explanatory and summary statements by Albers to cover the ellipses. The journals focus on her reactions to the world around her, with little concerning her personal life — although much is commented on regarding Julia Ward Howe and other persons she knew in various feminist and scientific societies. Vassar alumnae/i may find the material about the early days of our college particularly fascinating. Entries and letters attest to Mitchell’s continuous battles with the administrators and trustees over the disparity of salary between this famous American scientist and her fellow (male) faculty members at the college. In 1882, Mitchell noted a lecturer’s comments on the study of medicine by women that it would be better for the husband always to be superior to the wife. "Why?" she asked her diary. "And if so, does not it condemn the ablest women to a single life?" Maria Mitchell had strong views about women’s education and who should have it. She did not believe in scholarships to support the poor to attend college, since their home work was needed by their families. She wanted women to have the opportunity to progress but felt they needed to be in a position to take advantage of the opportunities made available by an institution like Vassar. A better way, she wrote to a friend after her retirement, "is co-education." For travelers, Mitchell’s reactions to a year in Europe before Vassar, to field trips with students to observe eclipses in the American West, and to a voyage to Russia all provide glimpses of the hardships as well as the pleasures of travel 150 years ago. This volume tells us not only about Maria Mitchell, but also about women’s lives and how important our college has been in changing them. It includes illustrations, some showing small details about life at Vassar and in the observatory.